The Kit comprises two of Rycote's patented vibration-reducing Lyre suspensions mounted on a rigid, slotted stereo bar. 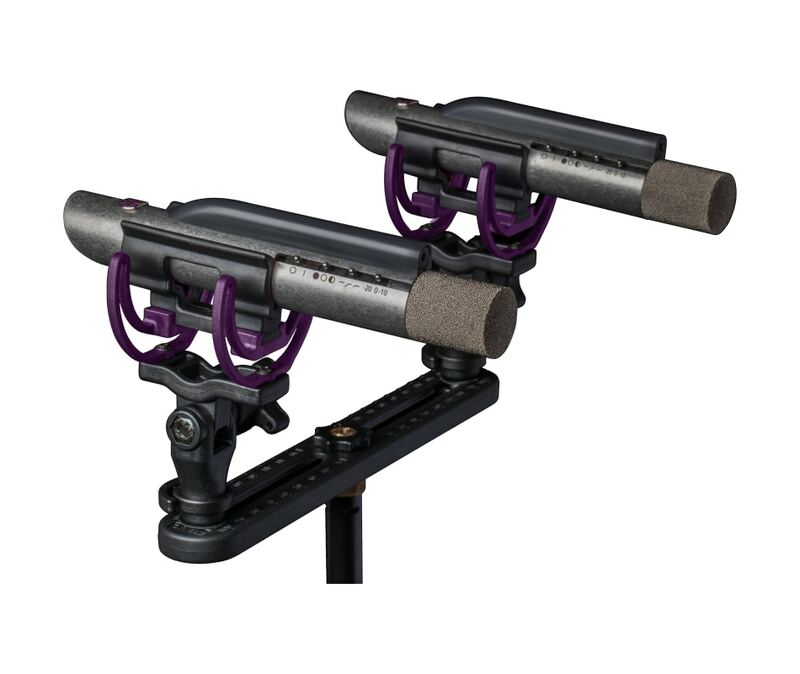 The spacing between the two mounts, (and therefore the mics), is quickly and simply adjustable from 40 to 200 mm on the slotted bar by loosening a brass wheel under each Lyre and moving it laterally as required. A star-shaped knob underneath each Lyre also allows each mic to be rotated and/or inclined, and then secured once optimal stereo imaging has been achieved.